If you're a football fan, or even if you're not, you're probably aware that there is a REALLY BIG GAME coming up on Sunday. Many people, myself included, watch it mostly for the awesome commercials and the halftime show, more than the game itself. But this year, with Deflate Gate, there may be even more people watching the game. I've always wanted to throw or attend a big party and dress to support my favorite team. Most years, it's us at home, having a finger-food party dinner in front of the TV and a contest for who can guess the score the closest. But this year - my kids' favorite team - the Seattle Seahawks are playing, so I feel like we should up our game day celebrations! 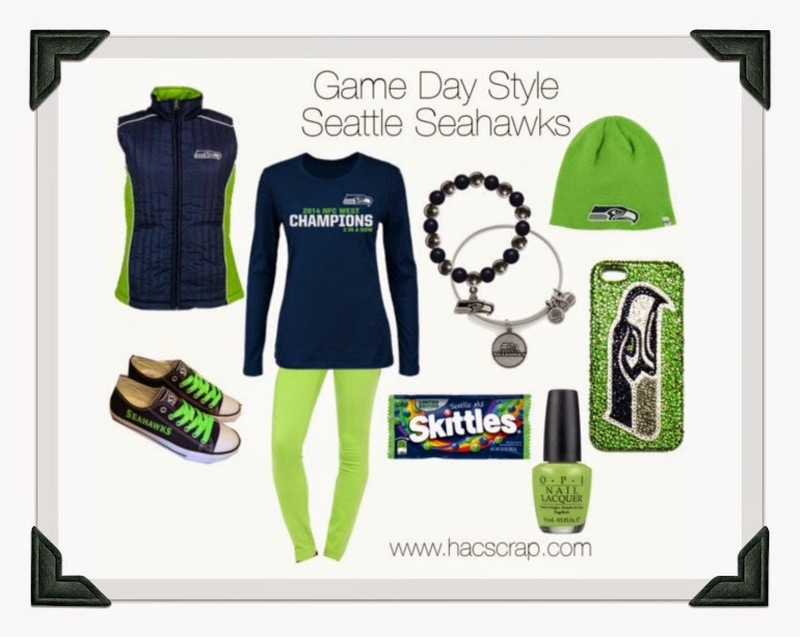 For all you Seattle Seahawks fans out there, support your team in apple green and royal blue with accents of grey or silver. This is the favored team in our house, so we have plenty of hats, blankets and jerseys to choose from. Shop your own closet for things you have in these team colors. I may pull out an older green sweater and a comfy pair of jeans for myself. 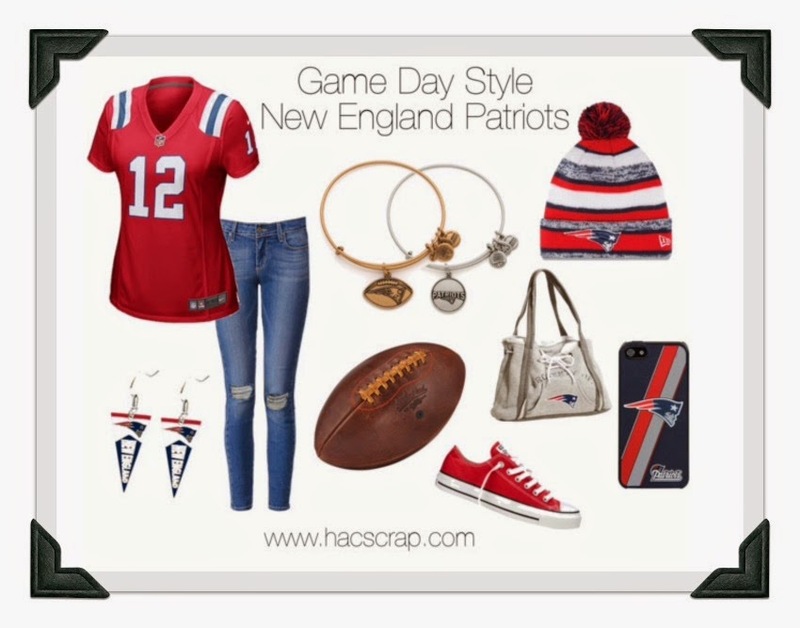 For you New England Patriots fans, sport some red, white and blue for your team support. That's probably the easiest color palette for us to pull off, but this year they are not our team. Throw on a pair of jeans, a red or white shirt and you're good to go. What team (and colors) will you be wearing on February 1st? so cute!!! i think i like the patriots colors better,... hmm which team to root for?!! THESE are cute! Go Pats!